Sue Keil shares key findings from RNIB’s latest FOI survey of local authority VI services in England. RNIB recently published its third Freedom of Information (FOI) survey of 152 local authorities (LAs) in England. In 2015, we asked a range of questions about the specialist support for children and young people provided by the vision impairment (VI) education advisory service. The previous surveys were carried out in 2013 and 2014 and together they provide a comprehensive picture of VI service organisation, staffing and policies over the past three years, as well as information about the numbers of children and young people that they support. Perhaps the most important finding from the latest survey is that there is considerable variation across the country in specialist support for children and young people with vision impairment. VI services vary in terms of their organisation, management, staffing and resources, and policies and practices. While some LAs appear to recognise the importance of having a well resourced VI service, others seem not to appreciate the value of specialist staff and have either gone down a more generalist route, or have cut their VI service staffing levels. For children and young people with vision impairment and their families this means that access to specialist educational provision is effectively a postcode lottery. In some LAs, specialist support appears to be rationed to children with the most severe levels of vision impairment. Just over one in ten LAs bases a child’s eligibility for VI service support on their level of visual acuity with the threshold set at 6/18 or higher, and/or registration as blind or partially sighted. 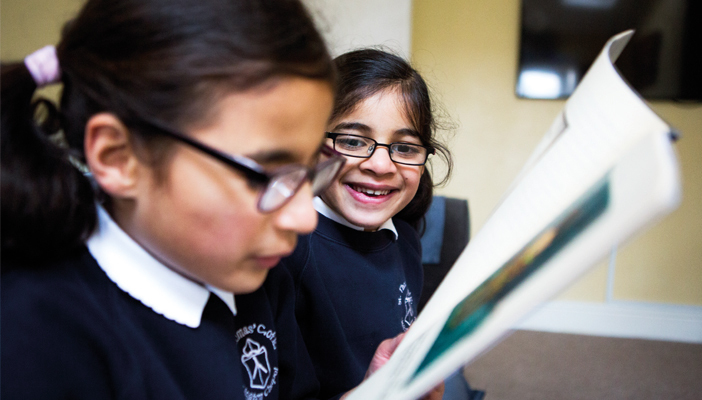 We are concerned about what (if any) specialist support is available for children whose visual acuity is below this threshold but whose vision impairment is still likely to impact on their development and learning. We also found that despite changes to the law that have extended entitlement of specialist support to young people with SEND up to the age of 25 if they are in education or training, in a number of LAs the VI service does not support young people in non-school settings such as further education colleges. While in a few LAs the services are actively seeking to improve provision to these older learners, this is clearly still a challenge in others. When we carried out our first survey in 2013, we were concerned to find that between 2010 and 2013 approximately 40 specialist teacher posts had been lost through redundancy or frozen. While the reduction in posts appears to have slowed down since then, we still have fewer specialist teachers in 2015 compared to 2013. In 2013 we identified 573 teachers qualified as QTVI or QTMSI who were employed directly by VI services and a further 57 in training. In 2015 the number was 551 and 47 in training. The differences may look small but the trend is still worrying. We are obviously concerned at the continuing erosion of specialist support for children and young people with vision impairment. As part of our policy and campaigning work we have recently produced a leaflet entitled ‘Protecting specialist services for children with vision impairment’ which is aimed at local authority SEND officers and commissioners. This makes the case for maintaining specialist services for this potentially vulnerable group. We will be sending a copy to the head of Children’s Services in all 152 LAs in England.